One of my readers, Jace, asked about ideas for Pinewood Derby awards. I thought I would compile a quick resource list for you. Some of these may have duplicate ideas, but hopefully, they’ll be helpful to you. Pinewood Derby Cars has a very extensive list of 93 award categories! My favorites from the list are: Best TV Show or Movie Themed Car, Best Jungle Car, Most Likely To Be On Front Cover of Motor Trend and Least Wood Left On Car. Agent Z offers another set of Pinewood Derby award ideas. 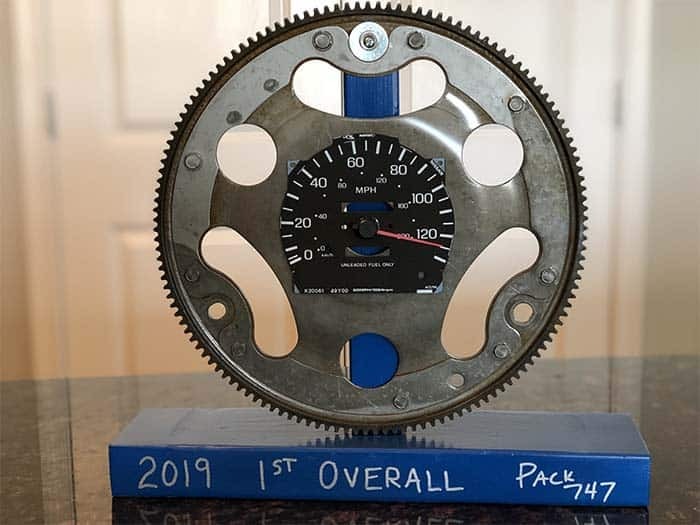 Looking for DIY Pinewood Derby awards? You have to check out these that were made from old car parts! These suggestions were compiled from a forum discussion on the Scouter Network. Again, there are probably duplicates in the list. What are some of the Pinewood Derby awards you present? P.S. 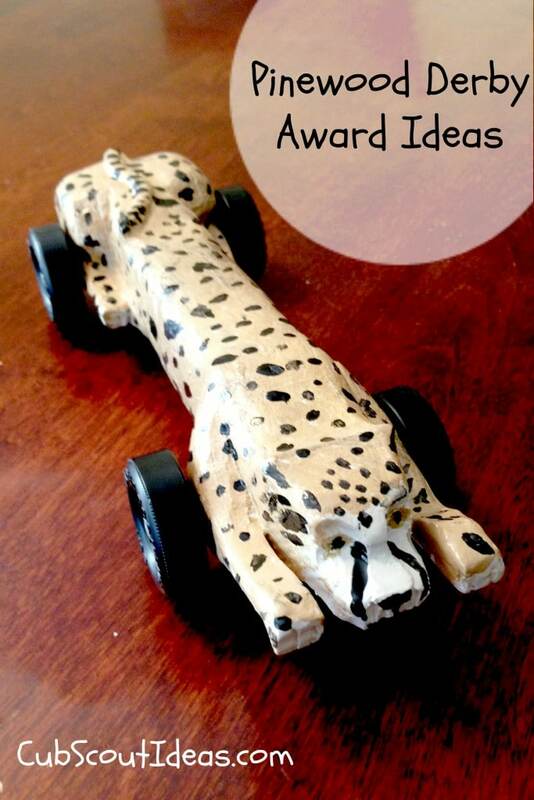 If you liked these Pinewood Derby award ideas, sign up below for more Cub Scout suggestions! Fantastic that’s exactly what I’m looking for. We appreciate the extra award ideas. Thanks for all you do for scouting. Thanks for the fun ideas! We added a “Best Brakes” medal for the slowest car this year and it went over very well with the first-timers. “Best Brakes” is an awesome award!!! Love it!